Last week media mogul Sumner Redstone booted Philippe Dauman and George Abrams from his trust. Now Redstone has appointed one of his lawyers and one of his family friends as replacements. He has also named one of his granddaughters to a position on the board of his holding company. "This is my trust and my decision. I have picked those who are loyal to me and removed those who are not," Redstone said in a statement Tuesday. The changes appear to strengthen Redstone's daughter Shari's claim on the future of Viacom. 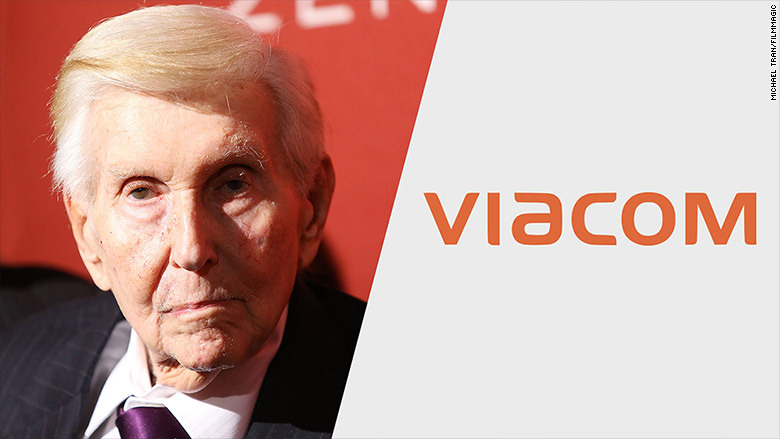 Redstone's seven-member trust will control Viacom and his other media company, CBS (CBS), after he dies, so the trustees have a tremendous amount of power. 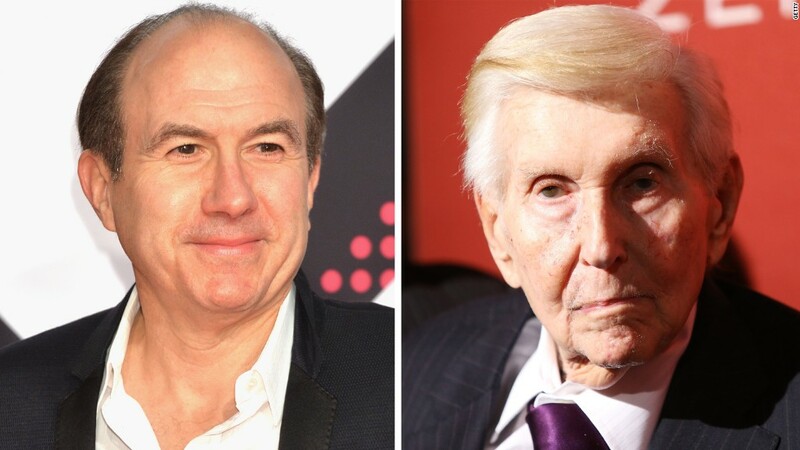 Dauman, the CEO of Viacom (VIA), and Abrams, a Viacom board member, had been two of the trustees, but on Friday, attorneys claiming to represent Redstone told them that they'd been removed. Viacom, speaking for Dauman, called the action "invalid and illegal" and questioned the ailing executive's competency. Redstone, 92, is in very poor health and is practically unable to speak. An ex-girlfriend described him as a "living ghost" in a recent court case. But some of his associates say he is still in command of his faculties. The announcement about the trust was distributed by a new spokesman for Redstone, not Viacom's public relations office. The new spokesman hails from Boston, where Shari Redstone resides. Sumner Redstone lives in California. The two new trustees are Tad Jankowski and Jill Krutick. Both have known Redstone for decades. Jankowski is the general counsel of National Amusements, Redstone's holding company, and Krutick is a former stock analyst and Warner Music executive who says she has a "long-time relationship with the Redstone family." Jankowski said, "I am honored that Sumner has chosen me as a trustee and am convinced that he did so knowing that I would be loyal to him and would work to accomplish the objectives of the Trust." The other trustees are Shari; her son Tyler Korff; and CBS board member David Andelman. Dauman and Abrams are suing to regain their positions in the trust. On Monday morning, Dauman called the actions -- which he blames on Shari, not Sumner Redstone -- an "unlawful corporate takeover. Shari Redstone said the accusation is "absurd." Redstone responded to the suit by petitioning another court "for an order confirming the validity of his actions." The spokesman said Redstone "has the right to remove or add trustees unless he is 'incapacitated,'" and he has not been found incapacitated by any doctors.